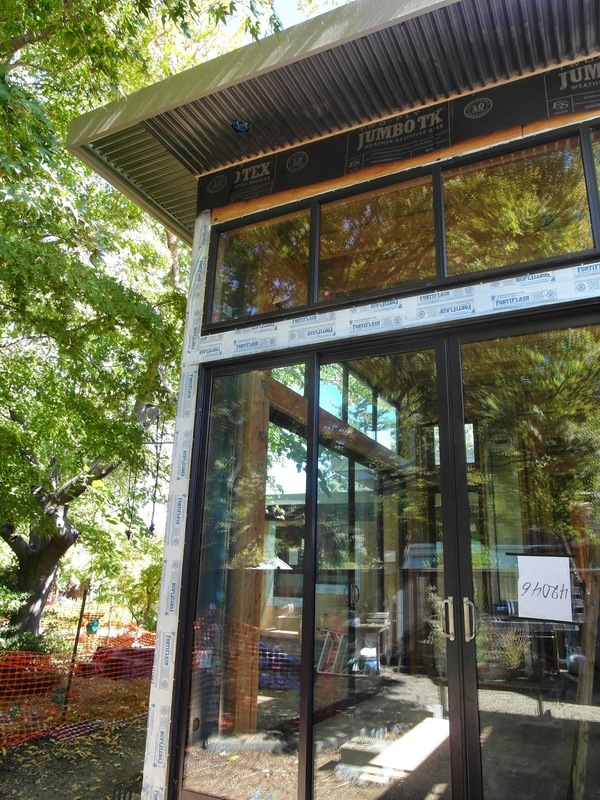 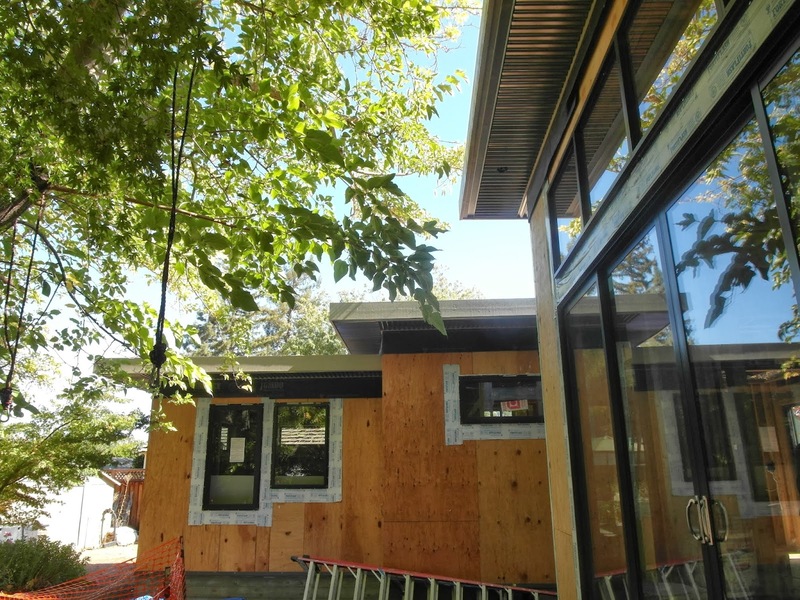 Exterior finishes are underway. 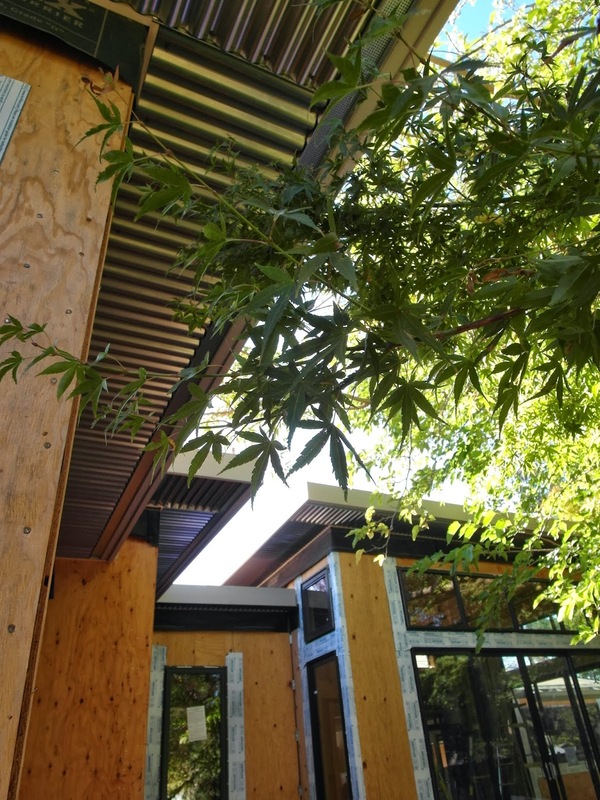 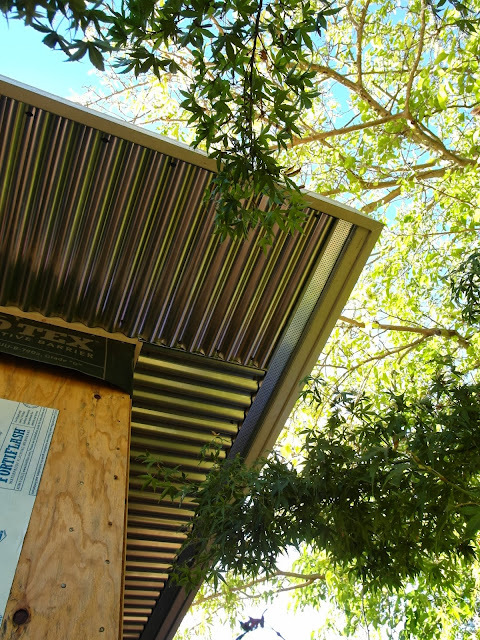 Of particular note is the corrugated steel roofing and the use of this material exposed under the eaves of the existing portion of the home and as soffits at the new portion. The owners have always been keen on corrugated roofing. Rather than corten steel, galvalume, or painted, they chose bare metal with the thickness upgraded to 22 gauge. 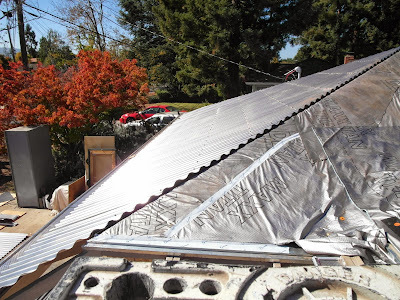 Over time, of course, the roof will rust. But as the patina changes over time, the roof will be visually lively.